(PALM BEACH GARDENS, Fla.) – PGA National Resort and Spa – South Florida’s world-class golf, vacation and spa destination – announces a trio of exceptional packages ideal for fun and relaxing getaways this winter and spring. Resort guests can now take full advantage of the newly transformed Palmer Course after undergoing a recent comprehensive renovation. Through April 30, players can experience The Palmer through the popular Gold Golf stay-and-play offer starting at $319 (per person, per night, double occupancy). Additionally, nightly luxury accommodations are included with private balcony or terrace, full breakfast daily in the Palm Terrace, one round per day as well as unlimited range balls and complimentary bag storage. 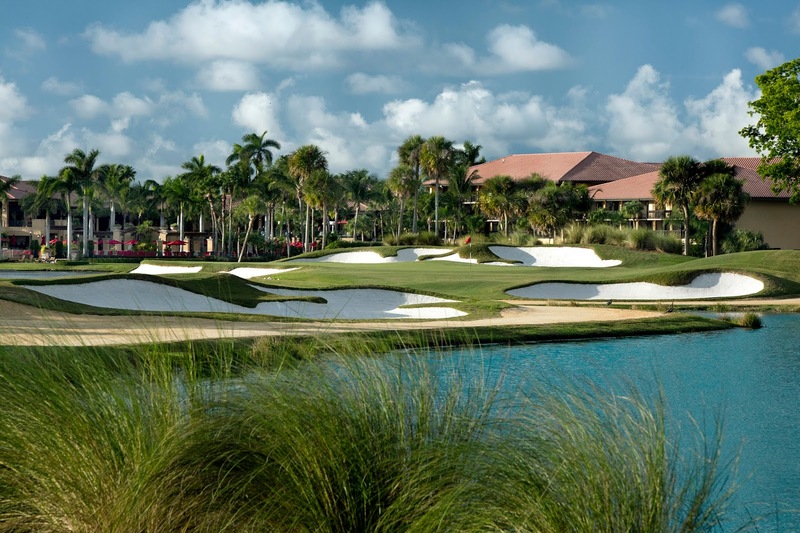 For guests interested in tackling the famed Champion Course, home to the PGA TOUR’s Honda Classic, the Champion package is the quintessential option. Beginning at $399 (per person, per night, double occupancy), it features one round of golf daily on The Champion as well as luxury accommodations with private balcony or terrace and full breakfast each day in the Palm Terrace. Perfect for a weekend filled with pure bliss, dive in to a whole new level of relaxation with the Waters of the World package, providing an oasis away from the hustle and bustle. The offer features luxury accommodations with private balcony or terrace, full breakfast daily in the Palm Terrace, one 50-minute spa treatment per day, access to the Waters of the World mineral pools and unlimited use of The Spa amenities. Rates start at $289 per person, per night (based on double occupancy) from Jan. 1 – April 30. Guests can also enjoy the new high-tech 33,000-square-foot Sports and Racquet Club featuring a wide array of fitness activities and classes, including pickleball and tennis on the 18 Har-Tru tennis courts (11 lit for night play). Not to be missed is a visit to The Spa, which recently renovated its ladies lounge with sleek new furnishings, contemporary décor, steam rooms, saunas and indoor whirlpools. PGA National features exceptional dining options for all tastes including its chef-driven Ironwood Steak and Seafood restaurant. Fees and taxes are additional on all packages. A surcharge is required for all rounds on The Champion and Palmer courses. For more information, please visit www.pgaresort.com or call 800.863.2819. Located in South Florida’s Palm Beach Gardens and fresh off a comprehensive multimillion-dollar revitalization, PGA National Resort and Spa is a world-class vacation and meetings destination. 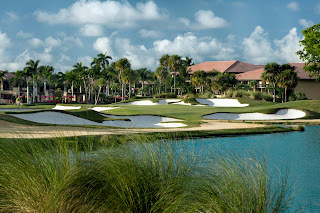 It presents 90 holes of championship golf on five courses, including the famed Champion Course, home to the popular PGA TOUR Honda Classic and legendary “Bear Trap” three-hole stretch. PGA National recently opened its new 33,000-square-foot, state-of-the-art Sports and Racquet Club. It features the latest exercise equipment, indoor racquetball court, three aerobics studios with new sound systems, five-lane saltwater lap pool, spin room with video road mapping, indoor volleyball court, two Pickleball / POP and 19 Har-Tru tennis courts (11 lit for night play). The new Johan Kriek Tennis Academy is managed by the two-time Australian Open champion and caters to elite juniors with focus on stroke production, point construction, match play, video analyses, fitness, gym and mental training. Luxury overnight suites are ideal for weddings, leisure and business golf, as well as frequent spa treatments. The resort’s versatility includes: a lakeside wedding and event setting with stunning vistas; the 3,000 square-foot iDeck terrace for indoor / outdoor dining and entertaining; “Bar 91” 19th hole grill; 40,000 square feet of self-contained conference and event space; and eight on-site restaurants and lounges, including the acclaimed Ironwood Steak and Seafood.